You’ve chosen to bank your baby’s stem cells because you understand how important they could be for their long term health. They may even save their life. However, you may still need more information about how to make the most of this once-in-a-lifetime investment. 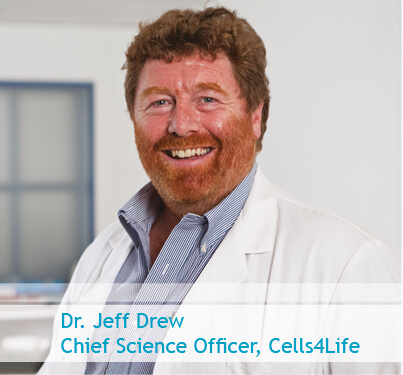 We spoke to Dr Jeff Drew, Chief Science Officer at Cells4Life, the UK’s largest cord blood bank, to find out what he thinks are the five most important things to consider when banking your baby’s cord blood. Whether or not a sample can be used in a stem cell therapy is dependent upon two factors: if it is a biological match, and the number of cells it contains. Your baby’s cord blood stem cells will always be their perfect match, so the single most important factor is storing as many as possible. To use a sample in treatment, 25 million nucleated cells per kilogram of body weight are required, so number of cells could mean the difference between being able to treat a small child or an adult. And, the more cells in a cord blood unit, the more successful the treatment is likely to be. Most cord blood banks store volume reduced cord blood. Volume reduction is the process of making a cord blood unit smaller by spinning it down to remove some of the red cell and plasma fractions. Unfortunately, this process always results in the loss of stem cells – with some volume reduction methods the waste is as high as 50%. This is why at Cells4Life we offer the Platinum service, which stores 100% of cells collected at your baby’s birth. Most people store their baby’s cord blood in the hope that they will never need it, however if they do, probably the single most important thing to consider is how you can make sure their sample offers the best treatment opportunities available. That is why the number of cells is so crucial. 2. Is my sample secure? Storing your baby’s cord blood is a big investment in their long term health, so it is very important to make sure that it is secure. For example, is it split over two storage locations? The UK is a very safe country, but disasters do happen. Storing across dual facilities, as we do at Cells4Life, means that if there were to be a problem at one, you have the peace of mind of knowing that the remainder of the stem cells are safely preserved at the other. Financial security is also a big factor. Your baby’s stem cells need to be available to protect them for their whole life, as they are most likely to need them in old age, so you want to know that your cord blood bank will be around for a long time too. It’s a good idea to choose a company that has been in operation for several years and has a big presence in the industry, as this is a strong indicator that they will be there for your child when they need their stem cells in fifty or sixty years’ time. Innovation may not seem like an obvious consideration when choosing a stem cell bank, but it is important. Not only is a company that continues to develop new stem cell technologies likely to be around for a long time, but you can trust that your baby’s sample will be processed and stored using the most cutting edge technology in the industry. At Cells4Life we have developed and patented a transformational cord blood processing technology, TotiCyte, which captures more stem cells then any other. We are also the only cord blood bank that uses a cool shipper for long distance shipments, to ensure that sample viability is maintained. Choosing an innovative, technology driven cord blood bank is a crucial, as it ensures that your baby’s sample will be processed and stored to the highest possible standard, using the best equipment and processes available. To collect, process and store cord blood and cord tissue in the UK, a Human Tissue Authority (HTA) license is required. You should never consider using a company that does not hold a HTA license, as not only would this make the process itself illegal, but you also cannot be sure that they are operating at the required standard to deliver a viable sample for use. Some banks have gone above and beyond simply holding the UK license and have sort accreditation from other global bodies. Cells4Life is the only UK private bank to have met the criteria for NetCord-FACT accreditation. 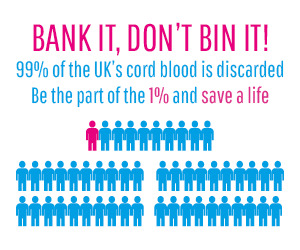 NetCord-FACT is the highest standard in the cord blood industry, and the accreditation held by most major public banks, including the NHS. Licensing and accreditations are incredibly important, as they show that a bank can conform and maintain standards. This should give you the peace of mind that your baby’s precious cord blood is safe with the bank that you choose. Experience can be determined in many ways, so here are a few questions that you should ask: How long have they been established? How many samples do they have in storage? What is their market position in the UK? How many cord blood samples have they released and what for? Have they released cord tissue for treatment? 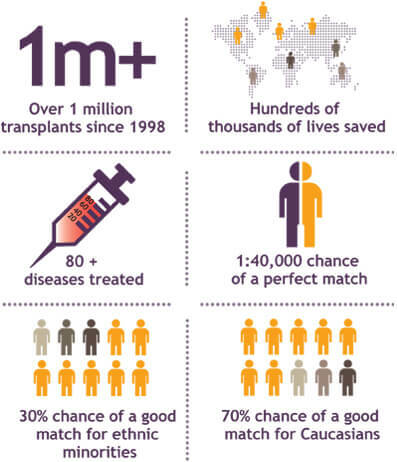 Cells4Life is the largest and oldest cord blood bank in Britain and has stored more UK samples than any other bank. We have experience in providing both cord blood and cord tissue for various treatments and have released sample for both transplant and regenerative therapies. 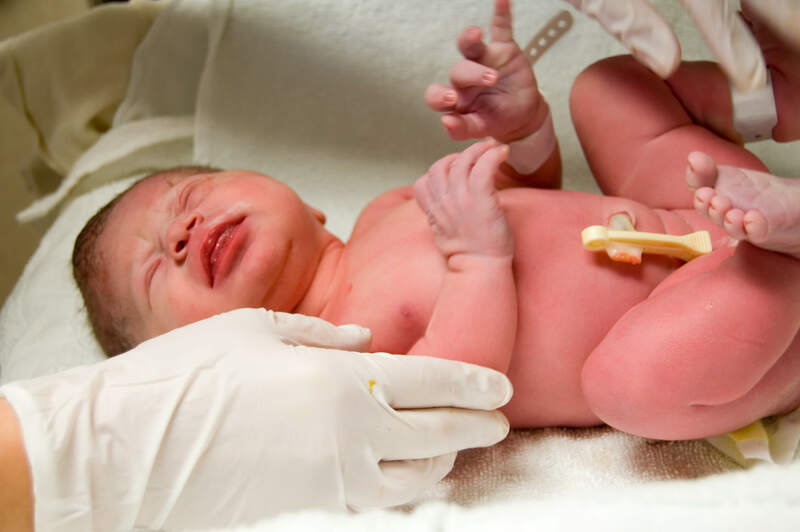 Measuring the experience of a cord blood bank is very important, as it can help you to determine whether or not as cord blood bank is proven to provide the best quality stem cells if your baby needs them.